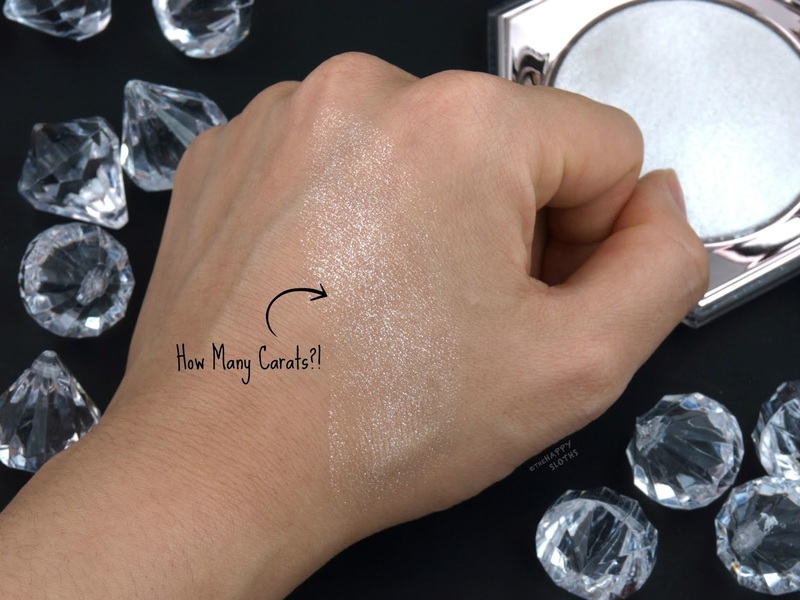 Fenty Beauty by Rihanna | Diamond Bomb All-Over Diamond Veil in "How Many Carats?!" 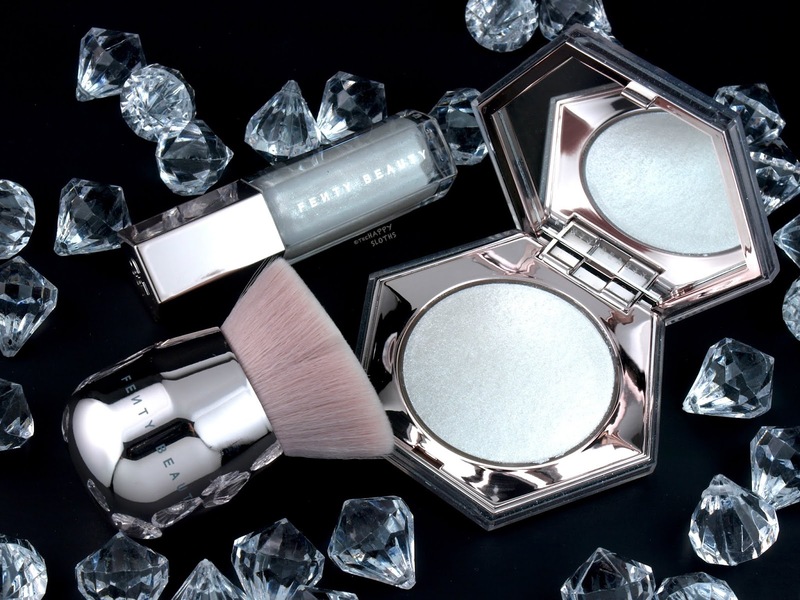 Housed in a rosegold hexagonal compact that's encased in a clear, sparkly shell, the Diamond Bomb All-Over Diamond Veil is a face and body highlighter packed to the brim with sparkly, iridescent micro-glitters. With an unbelievably smooth, non-gritty, and almost liquid-like texture, the highlighter has no base pigments so it's just glitter on top of glitter. 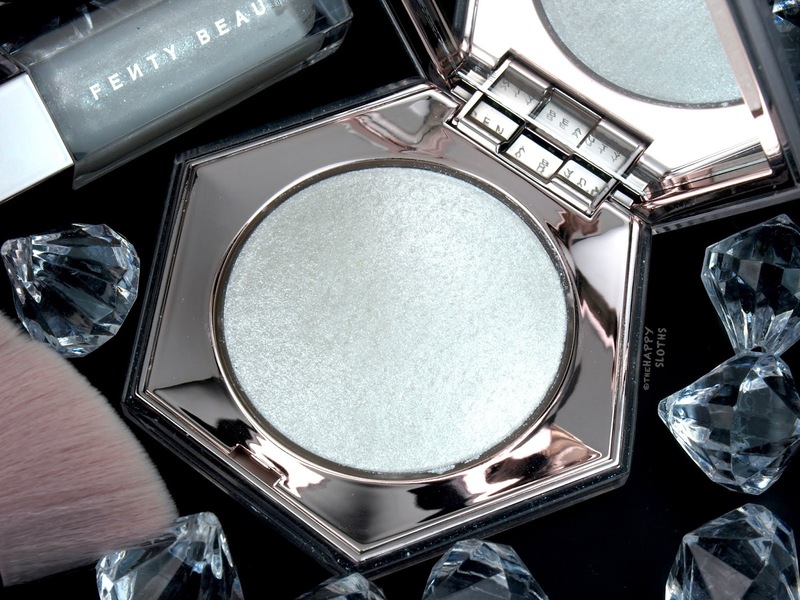 When dusted over the cheeks or the decolletage, the highlighter perfectly mimics the effect of crushed diamond scattered across the skin. It's very stunning but definitely not for the faint of heart. If you like your highlighter loud and sparkly, then this is going to be your favorite! 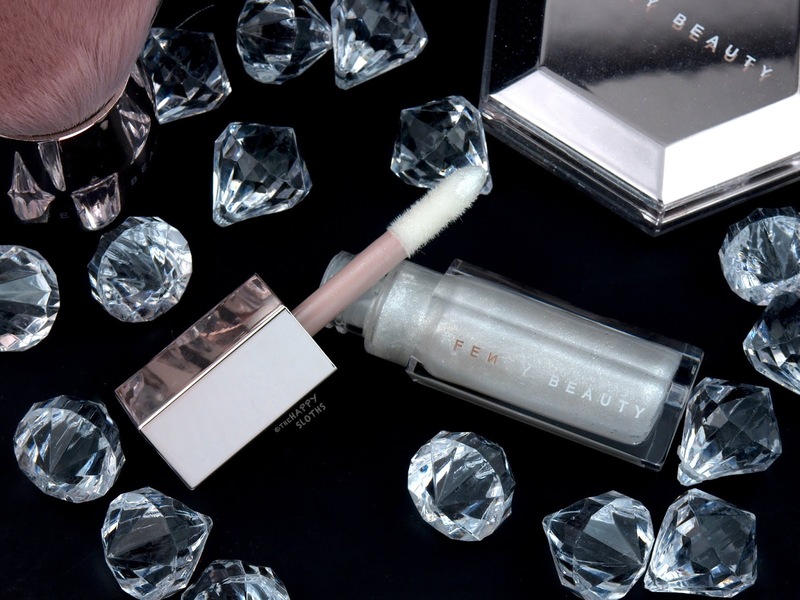 Fenty Beauty by Rihanna | Gloss Bomb Universal Lip Luminizer in "Diamond Milk"
Scattered with iridescent sparkles similar to that of the Diamond Veil highlighter, the Gloss Bomb Universal Lip Luminizer in "Diamond Milk" is formulated with hydrating shea butter. With a delicious peach-vanilla scent, the gloss applies with a very large (Fenty Beauty refers to it as "XXL") doe-foot. The formulation is rich and cushiony but the finish is not too tacky. "Diamond Milk" is very shimmery but it also has a bit of a milky tint. When worn alone, the gloss provides a smoothing effect and adds a very pretty shine. When worn over a base color, the shimmers look more sparkly but the milky base becomes more apparent as well. 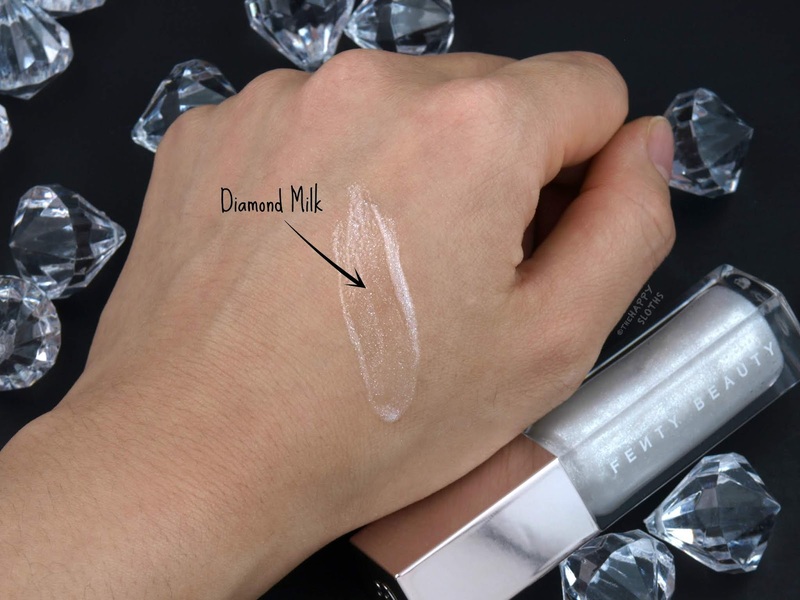 I personally think a more transparent base is more versatile but the milky effect does make "Diamond Milk" a little more unique. 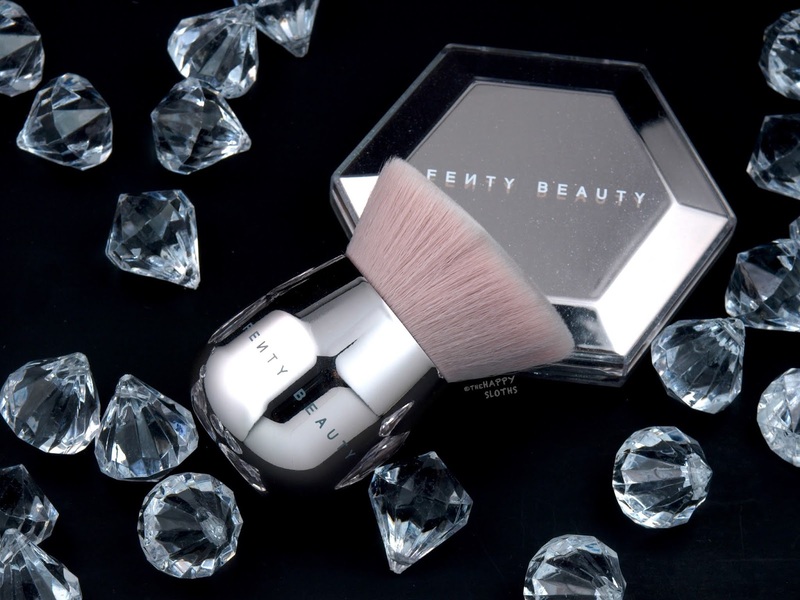 Although not a new release, the Face & Body Kabuki Brush has been re-launched with the highlighter and lip gloss in celebration of Fenty's first anniversary. The rounded handle has a rose gold finish and the brush head features soft but densely-packed synthetic bristles. I'm not sure why but the packaging consists of three layers of plastic covering, which not only are excessive but also ended up warping the shape of the brush head, forming a deep crease right down the middle. 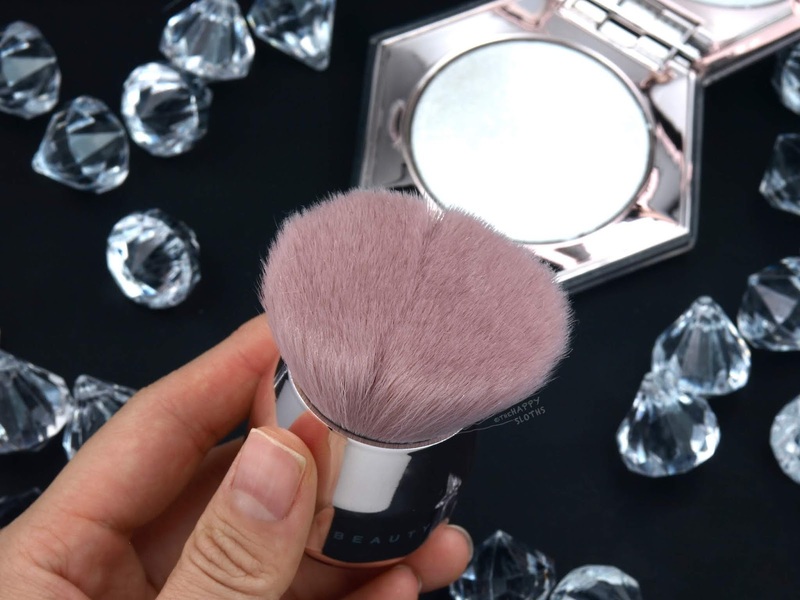 The brush can be used to blend both liquid and powder formulations so if your heart desires, you can dust your entire body in the Diamond Bomb All-Over Diamond Veil.